The development of laparoscopy in horses has dependent mainly on the advances in imaging. Endoscopic surgery has become a popular alternative to traditional operative procedures for a variety of medical and surgical problems. 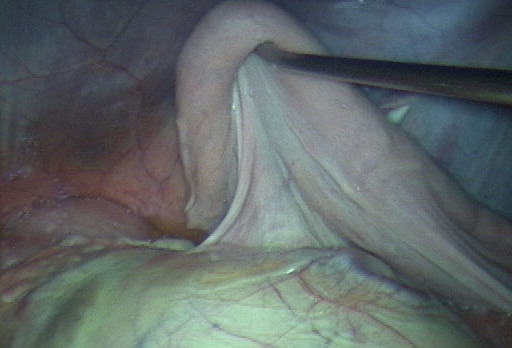 Laparoscopy of the equine patient has created a minimally invasive approach to the abdominal cavity. Initial reports centered on diagnostic laparoscopy of the abdomen and treatment of reproductive disorders (cryptorchids, ovariectomies). We are fortunate at Chino Valley to have two of the pioneers of equine laparoscopic surgery. Dr. Fischer is the author of Equine Diagnostic and Surgical Laparoscopy and Dr. Klohnen has written several book chapters and presented at international conferences regarding this subject. 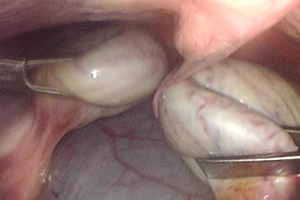 Laparoscopic ovariectomy is most commonly performed in the mare for behavioral issues or to remove an abnormal ovary (granulosa cell tumor or others). 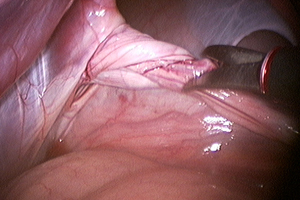 Laparoscopic techniques for ovariectomy provide excellent visualization of the ovary and its blood supply to insure adequate intraoperative hemostasis precluding some of the complications associated with other approaches (colpotomy, midline or parainguinal celiotomy). Horses undergoing laparoscopy under general anesthesia are fasted for 18 hours prior to surgery. Water is not restricted. Tetanus prophylaxis, anti-inflammatories and antibiotics are administered preoperatively. There is minimal aftercare associated with this procedure. Some mares will be depressed for several days but this is not that common. Anti-inflammatories are continued for several days post-operatively. The horses are walked daily and allowed to return to training in several weeks (up to 2 months in horses with large incisions). The use of minimally invasive surgery with the laparoscope to remove intr-abdominal testicles was first developed at Chino Valley Equine Hospital. A minimally invasive approach to abdominal cryptorchid testis removal reduces tissue trauma and is likely to reduce postoperative pain and wound healing complications compared with open laparotomy. 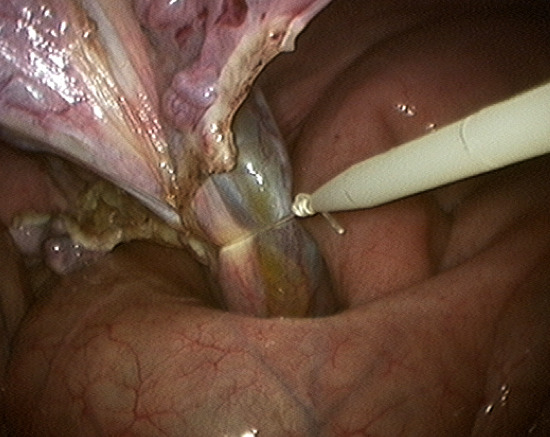 In addition, evisceration, one of the disadvantages of an open procedure, wherby the intestinal contents can herniate through the incision, is avoided using the laparoscopic technique. 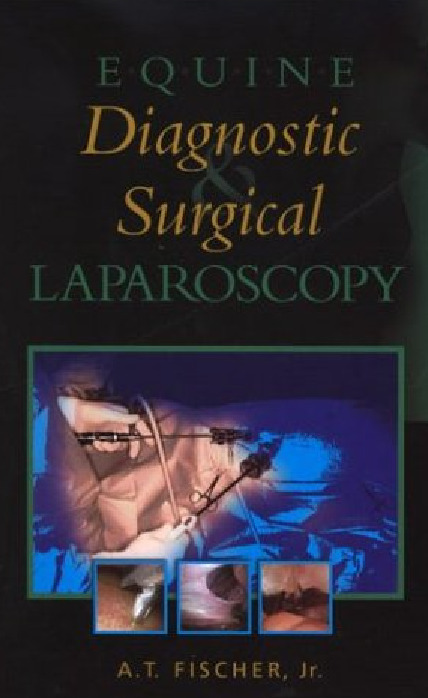 There are no major disadvantges assocaited with the laparoscopic technique and it is now considered the "gold standard" for cryptorchid surgery.